In 2002 Musrara, the Naggar school of Art has launched a new initiative of co-existence in the form of Jewish- Arab documentary seminar. This project aims to create and environment in which Jews and Arabs can work together, and to guide them through a creative process that will enable them to confront issues of co- existence. 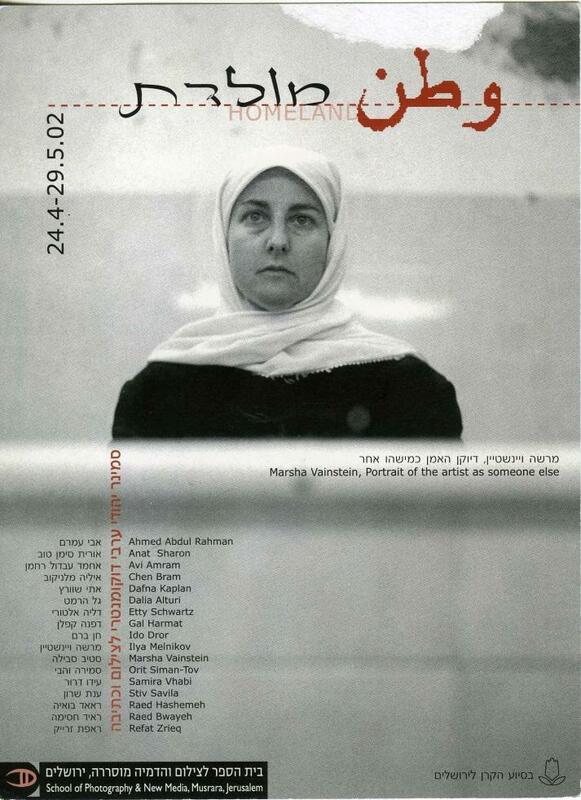 The goal of this project is to impart professional tools to Jewish and Arab artists who wish to develop and express themselves in the fields of documentary photography and journalistic writing (not necessarily reportage), on matters of concern to the Israeli society. The seminar addresses relations between Jews and Arabs, the peace process, and cultural and social gaps. It attempts to heighten the sensitivity of the participants to one another rand to human rights in general, and to foster in them a pluralistic, humanistic consciousness. Each group participates in the program for one year, which culminates in a final exhibition. This project was supported by Mrs. Eva Fischer, in memory of her late husband Alfred Joachim Fischer, the Von Holtzbrinck family, Germany, with the assistance of the Jerusalem Foundation.